When Drew Houston conceived the idea for Dropbox, he had no idea it would turn out the way it did. From a small personal project to make life easier as a student, the cloud storage service has gained over 50 million users, and it shows no signs of stopping. Now the app has turned into a company, making their first acquisition yesterday. Mailbox, the popular iOS email client, has been going for about a month now, with over 2,000,000 people signing up for the waiting list. The two companies met and have struck up a deal, where Mailbox will move over to Dropbox headquarters. Both have a blue colour scheme and both end with the word ‘box’, it is like a match made in heaven. 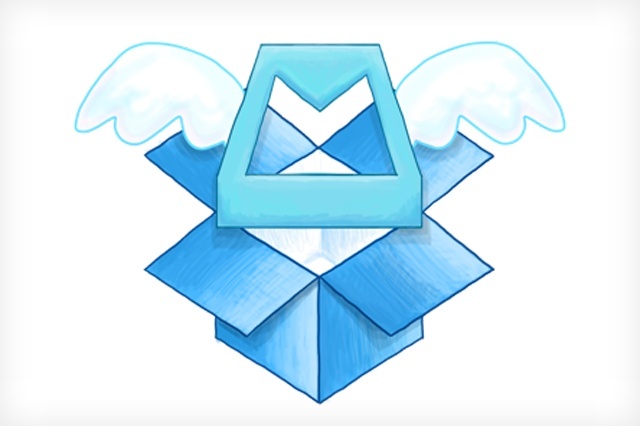 Perhaps as Dropbox grows we will see more ‘box’ apps: Musicbox, Gamebox, etc. All 14 members of the Mailbox team will join Dropbox, and while the acquisition cost has not been released, Mailbox did have $5.3 million in venture capital. The two teams will continue to do their own thing, although we believe the idea is to integrate cloud storage into Mailbox, and users can pay for additional amounts. We suspect this is also Dropbox’s idea of breaking away from the one app company, as Facebook did when it acquired Instagram and as Twitter did when it acquired Vine. The refreshing new app allows them to keep making revenue and try to convert and integrate. Drew Houston said in a blog post“Like many of you, when we discovered Mailbox we fell in love—it was simple, delightful, and beautifully engineered. Many have promised to help us with our overflowing inboxes, but the Mailbox team actually delivered.” He also stated the two companies do the same thing, they progress the area they work in. Having Dropbox as a cloud-centre for all your work could offer a lot of different opportunities for the company and could lead to many apps being developed that give you a better experience then you are getting on a service.